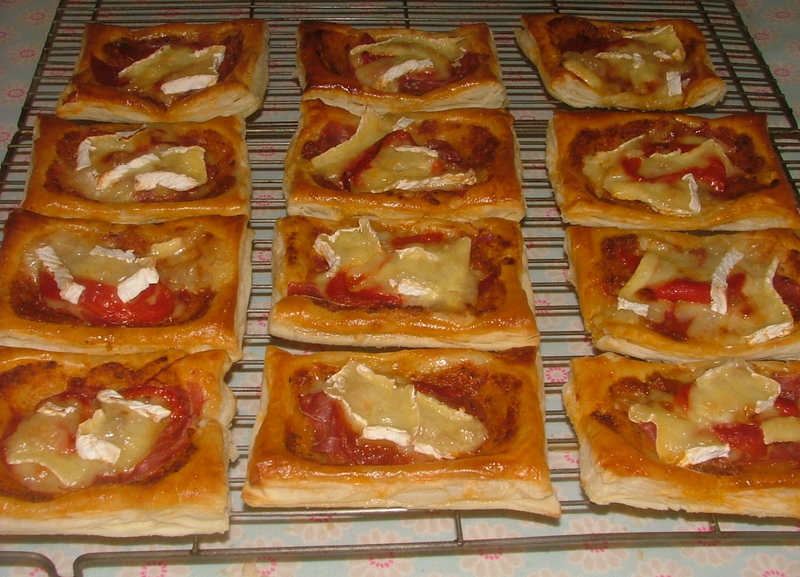 I have been wondering whether to put these tarts on my blog as they are not the thriftiest meal to make. That said, this recipe can be made cheaper by buying the supermarket’s own brand ingredients. I have done a quick search around the main supermarket’s websites and this recipe can be made for under £6, which isn’t bad as it serves six. If you shop in Waitrose, you can expect to add about 30% on that! Anyway, if you like quite strong flavours, these are for you. What is great about these tarts is that they are so easy. 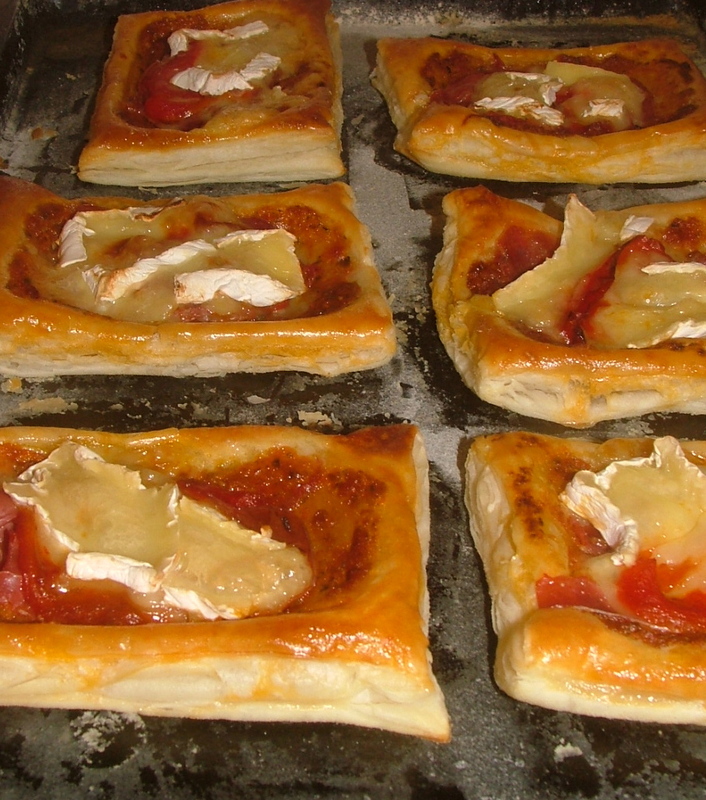 Freezing – These can be frozen but before you add the camembert. Defrost and then add the camembert. Take the pesto and divide between the tarts spread it on each one with the back of a teaspoon ensuring that you leave a 1.5cm border round the edge (where you have spread the egg). Take the roasted peppers, remove the skin, and slice, then distribute between the tarts, once again ensuring you leave a border. Cook for 20 minutes on a medium shelf, you may need to swap the trays half way through if you don’t have a fan oven. This will mean they both get time on the top. If they don’t but the topping is burning, cover with foil and cook for a little longer.